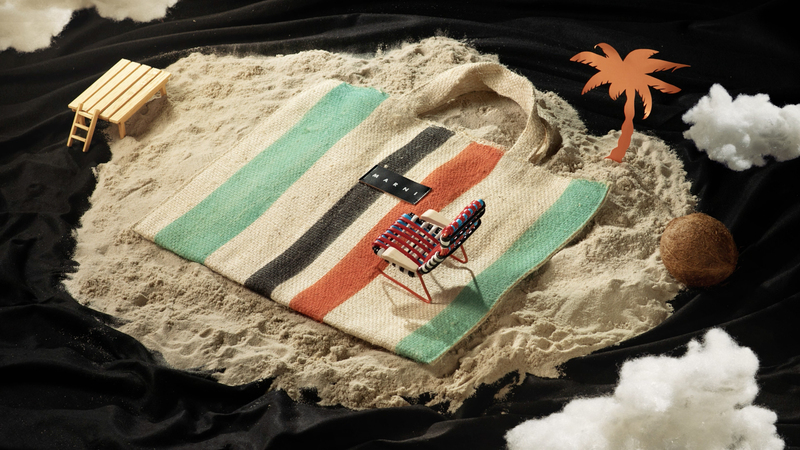 Marni Wild Market has arrived on marni.com, creating a temporary section within the online store dedicated to a series of limited edition design and lifestyle products, destined to become perfect holiday gift ideas. Bright colours, imaginative shapes and geometric prints populate the digital space of Marni Wild Market, in which furnishing accessories and ironic sculptures made of hand-woven PVC harmoniously coexist alongside iconic colourful striped shopping bags, new cotton and retro-inspired crochet wool bags, colourful hand-woven baskets in different sizes and a series of original miniatures to display as furnishings. 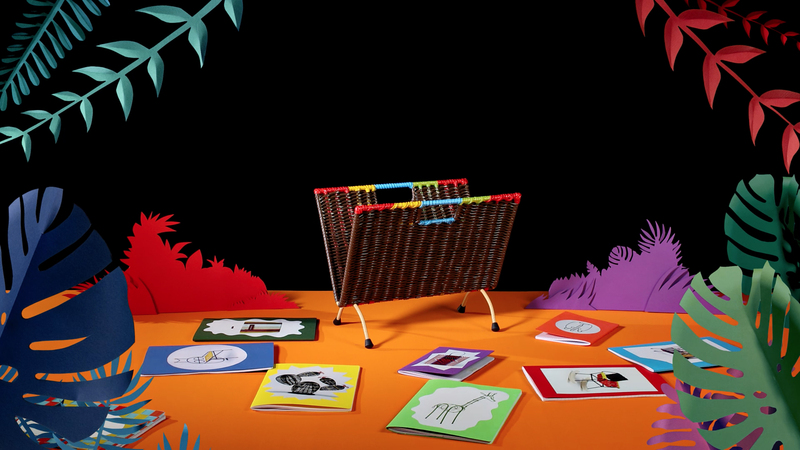 Marni Wild Market products are designed to creatively adapt to any space. 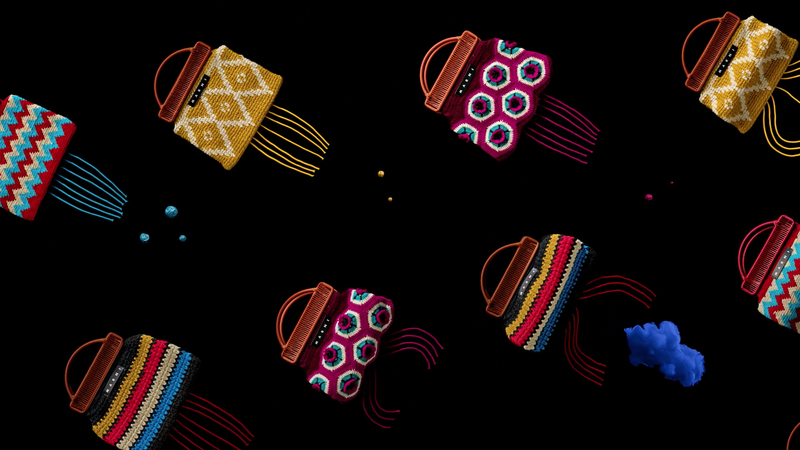 Each element is a true work of art, handcrafted by a community of Colombian artisans who have long collaborated with Marni. The Marni Wild Market section will be available on marni.com for a limited period, starting from 29th November 2018.